Tickets are now on sale. For more information please visit the Playball Ink website or email playballink@yahoo.com or contact by phone at 567-225-9514. Hines Ward is a former wide receiver who played 14 seasons for the Pittsburgh Steelers. He is also a businessman, TV personality and is currently a broadcaster for NBC as a studio analyst. 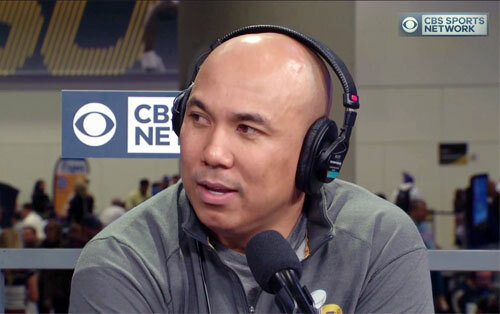 Hines Ward, born in South Korea, was drafted by the Pittsburgh Steelers in the third round of the 1998 NFL Draft. Ward is a four-time NFL Pro Bowl selection from 2001–2004 plus he has earned three team Most Valuable Player (MVP) selections. Ward is also a two-time Super Bowl Champion winning in Super Bowl XL and XLIII. He was named MVP in Super Bowl XL when the Pittsburgh Steelers beat the Seattle Seahawks 21-10. In 2011 Hines Ward his partner Kym Johnson was the winner of American TV dance competition season 12 of Dancing With The Stars. PFP Sports & Celebrity Talent Agency is a top booking agent for motivational sports speakers and celebrities. If you would like to book NFL stars like Hines Ward for a speaking engagement, personal appearance or special event, you can request Hines Ward agent and speaker information from PFP Sports & Celebrity Talent or call 800.966.1380.